Today is International Whale Shark Day and what a whale of a time I have had over the last two years getting up close and personal with these gentle giants of the sea. 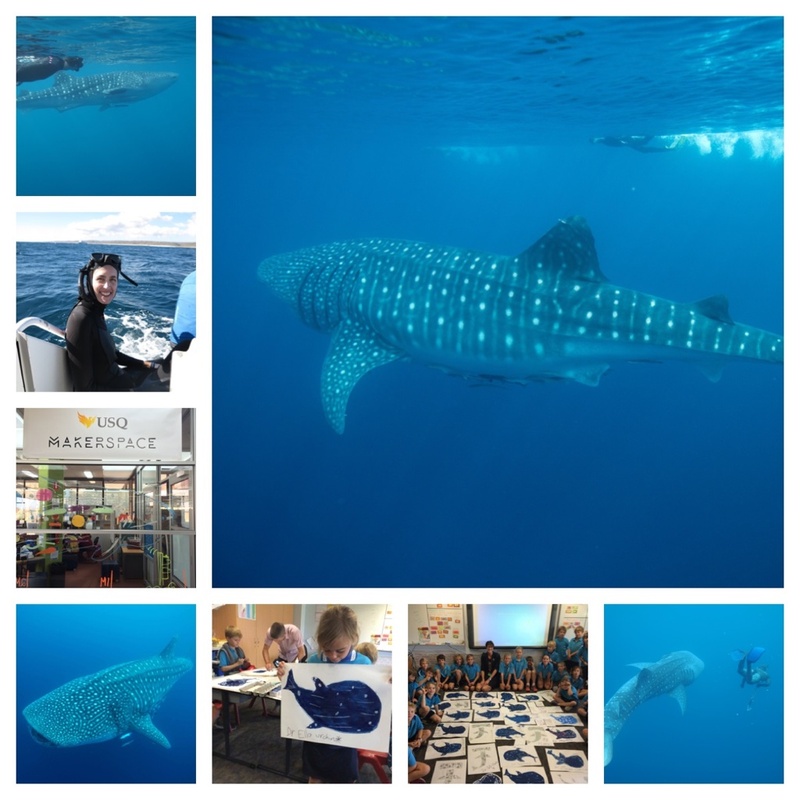 I have been so fortunate to be part of the marine research team for the Ningaloo Outlook project, a strategic research partnership between CSIRO and BHP Billiton, which has been tagging Whale Sharks in the Ningaloo Marine Park. You can follow the tracks of the Whale Sharks by logging on here: http://www.seaturtle.org/tracking/?project_id=1112 Through this project, and my recent work with the University of Southern Queensland and the National Girls Collaborative Project (from USA), I have also had the most amazing opportunity to visit with students and teachers to show STEAM (Science, Technology, Engineering, Arts & Mathematics) in action by using my graphic recording and art – to encourage creative thinking about our BIG ocean issues. Doing ‘shark art’ with primary school kids, sharing tagging technology with high school students and creating BIG MakerSpaces with teachers has to be the best job in the world on this Whale Shark Day!! You can follow my creative journey as Dr Suzie Starfish on Facebook (https://www.facebook.com/drsuziestarfish/) and @suepillans on Twitter and Instagram. ← Think BIG, draw BIG and create BIG!